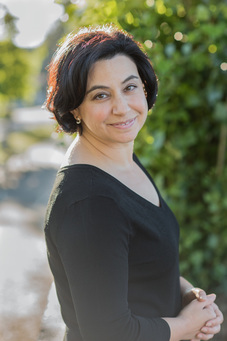 Laurie Frankel is the New York Times bestselling, award-winning author of three novels. Her writing has also appeared in The New York Times, The Guardian, Publisher’s Weekly, People Magazine, Lit Hub, The Sydney Morning Herald, and other publications. She is the recipient of the Washington State Book Award. Her novels have been translated into more than twenty-five languages, and all three have been optioned for film or TV. A former college professor, she now writes full-time. She was recently named one of the 50 Most Influential Women in Seattle where she lives with her family and makes good soup. Laurie and her husband Paul made this very funny trailer for her second novel, Goodbye For Now. And she wrote this piece for the New York Times' Modern Love column if you want to know more. ​Here's an episode of Book Lust with Nancy Pearl starring the inimitable -- you guessed it -- Nancy Pearl. And me! I haven't watched it because there are two kinds of people in this world: the kind who think it would be awesome to watch themselves on TV and the kind who think it would be torture to watch themselves on TV. I am so the latter. But you should watch. Nancy and I had a lovely chat about writing, reading, teaching, books, and even some things that had nothing to do with any of that. ​​I am also on the board of a wonderful non-profit organization, Seattle7Writers. We are a group of Pacific Northwest authors who work to promote literacy efforts in our community. We teach, raise money, create pocket libraries in shelters, prisons, food banks, and outreach centers, and foster connections between readers, writers, indie booksellers, and librarians. Cool, no?